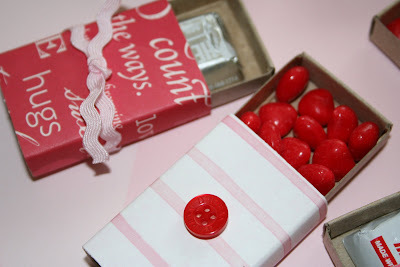 April Kennedy...My Life + My Style: VALENTINE GOODIES. 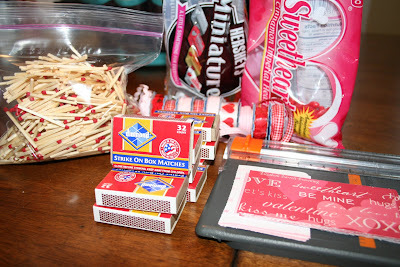 We have taped, glued, filled and signed and the kids are off to deliver their Valentines! 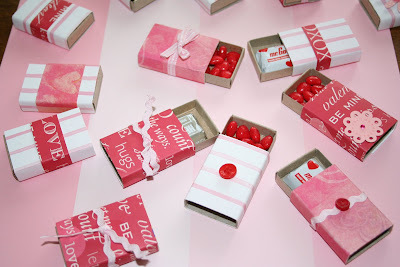 We made little matchbox Valentine's filled with goodies. And here are the supplies we used to make them. Individual match boxes...emptied. 12x12 scrapbook paper cut in 2 1/4" strips. Ribbon, candy, buttons, stickers and a little tape. I think they turned out cute. AWww those turned out adorable!!!! 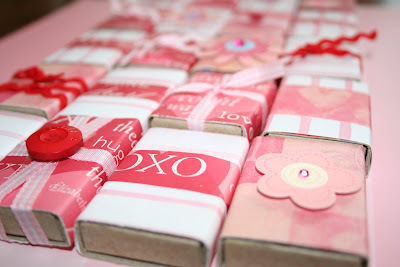 I wanted to do that very same craft but not enough time this year, maybe I will start on February 15th so I will be ready with 4 kids' worth by 2010 :D I am sure the recipients will adore them. Oh, these are the cutest ever!!!! Those are so cute! Just so you know, you can buy completely blank/white match boxes from Oriental Trading by the dozen. They come in different sizes too which is fun. What a good idea! They turned out soooo cute!! Great idea and you photos turned out so well. Those are so cute! 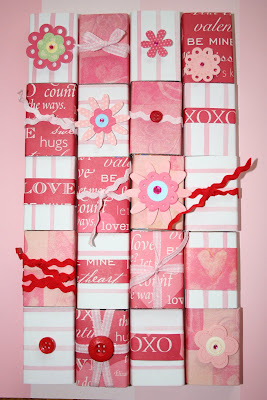 Between you and Design Mom I just can't handle all the cute Valentine's stuff! I wish that I could be a part of your girls cooking club, that looks like such fun! 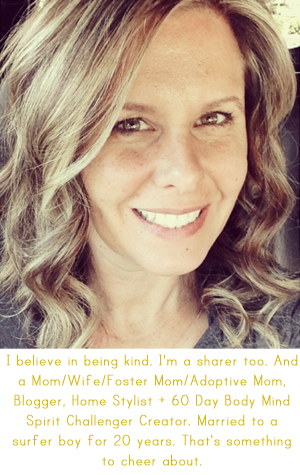 could you please stop being the perfect mom. Super duper cute! Great idea! Those are super cute!!! what a great idea...I'll have to do that next year. I've given you a Kreativ Blogger Award...feel free to "pick" it up when you have a chance. WOW! If only the kids would treasure them! It must have been a ton of work but they are just darling!